Lately a huge majority of our blog posts have recapped all of the beautiful weddings that we're a part of and provided services for. While recapping our weddings is always fun and often times romantic, I wanted to take a break from the norm and showcase events + services that don't usually get the spotlight that they deserve. Since most of the events mentioned below are either corporate related events or private parties, we can't disclose much information but we can provide you with a few pictures. The photos below showcase our services, our team, and our broad range of events from college fraternity + sorority formals to product launches. I'll provide you with as much event information as I can, but the rest is left up to your imagination!.. 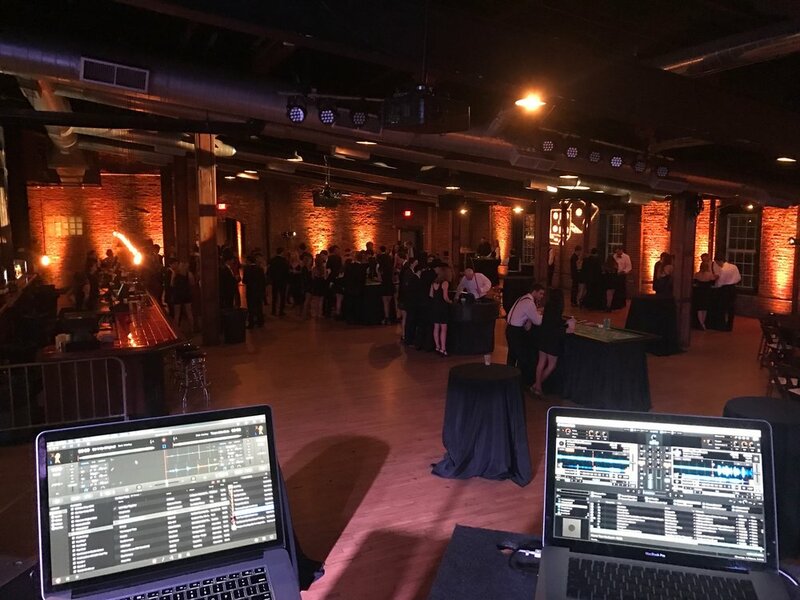 For the past couple of years Snyder Entertainment has had the pleasure of partnering with Belmont University's Phi Mu chapter for their semi-formal and formal events. From their Alice in Wonderland themed semi-formal to this years Written in the Stars winter formal theme, it's always a blast teaming up with them to create the perfect environment to party! This group loves to include our one-of-a-kind DJ/MC services, lighting, and our photo booth package as well. Their formal this month took place at Houston Station, and it was nothing less than a really, really fun time complete with a lot of pink up lighting! They're an incredible group to work with, and we look forward to celebrating many more formal + private party events with them! 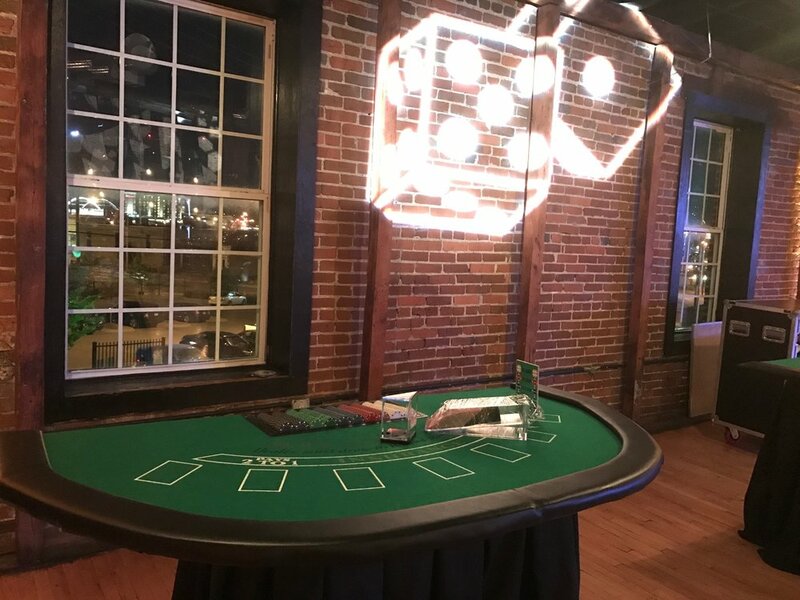 This year our team partnered with a popular fraternity at Vanderbilt University that was looking specifically to bring the fun of Las Vegas to their Nashville based party. Once we introduced them to our Custom Casino Package, they immediately wanted to book their formal with us! 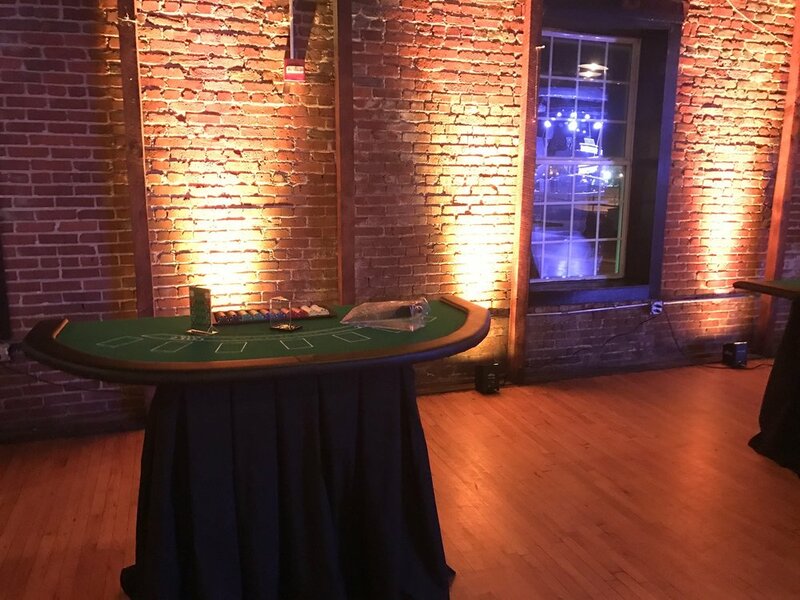 In this particular package they chose to include: 4 Blackjack tables, 2 Poker Tables, 1 Craps Table, 2 Roulette Tables, 1 Casino War, 1 Money Wheel, and 4 Vegas styled Slot Machines, all made complete with our Gold Entertainment Package made up of DJ services, custom lighting + 4 casino themed gobos. This was an energetic group and we loved being a part of their formal. We hope to continue our relationship with Vanderbilt's fraternities, and we look forward to providing entertainment for many more formals to come! The pictures above are from a private company sponsored product launch; however we are allowed to show you the name of the event: Nash Bash. 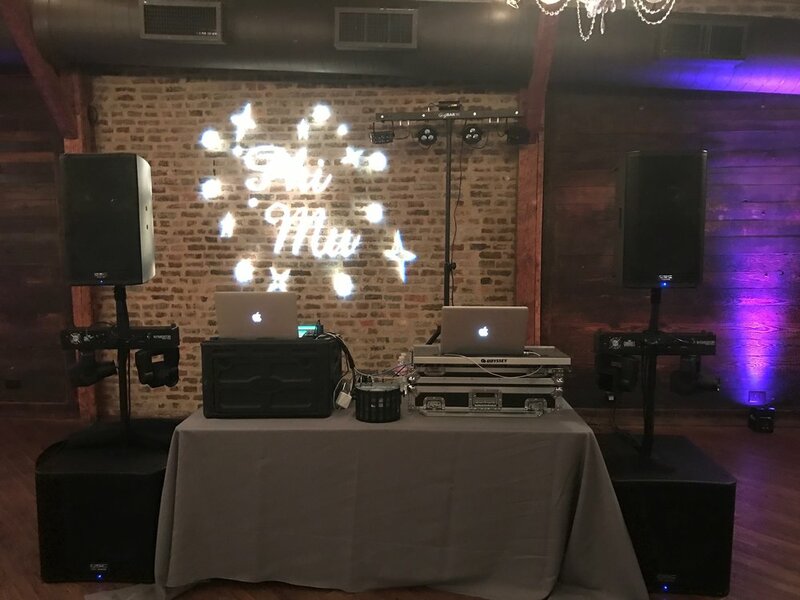 This group included custom lighting, custom photo booth services, live music by the very talented Stevenson Everett, and recording booths for their guests. It was the perfect culmination of new company meets everything Nashville! We were invited to partner with Capitol Theatre again this year for their annual Halloween party + private screening of The Rocky Horror Picture Show. They encourage guests to dress up as their favorite character and provide music, dancing, a photo booth, and much more! It is hands down one of the best Halloween parties in Nashville, and we're just glad to be involved! 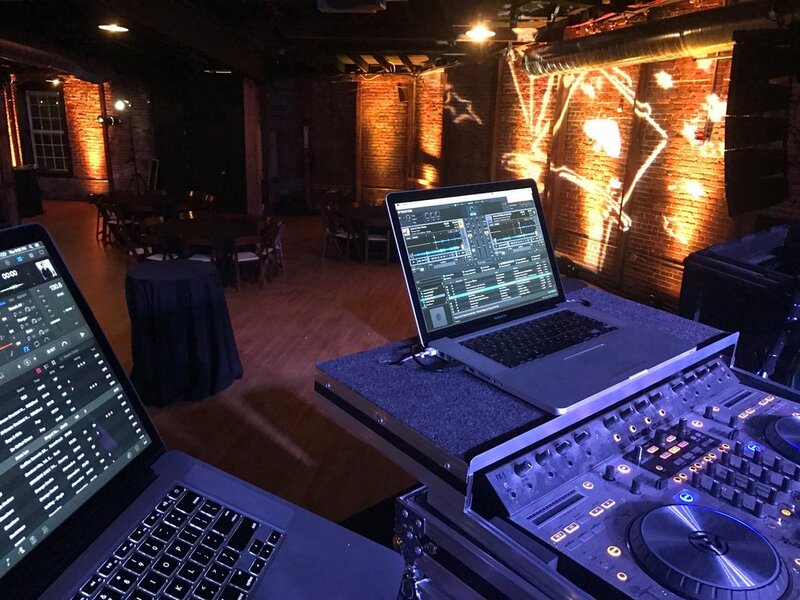 If you want more information on all of the types of events we've done in the past, and/or if you want more information on our corporate event + private party pricing and packages, please contact us today and ask for Brad!